Need a qualified carpet cleaner in South East London? We are a reputable company with vast experience in the area of cleaning and our professional carpet cleaning services are available all over the area. With us you don’t need to worry about quality because we use the most efficient method for cleaning carpets, which won’t cause any health issues to the members of your family. Our company was established several years ago and during our long practice, we have been working hard to attend the needs of our clients and make our name as a trustworthy cleaning company. We take pride not only in our excellent understanding of customer service but also in our effective cleaning solutions. Our team of dedicated cleaning experts is what we consider to be our most valuable resource. Thanks to their commitment and constant aspire for improvement, all our customers receive a carpet cleaning in accordance with the highest standard. Supplied with a steam machine and other environmentally friendly cleaning materials, they will be able to make every filthy rug or carpet clean and sanitised. There are many reasons why we are the preferred cleaning contractor in the region. However, the most important is that we are a customer focused company and understand that every client has their own perspective about how their carpet should be cleaned. Give us a chance and we promise that we will listen carefully to your requirements and provide you with a proper cleaning solution. We are currently operating through South East London and in our carpet cleaning service is included hoovering and preliminary cleaning of dirty patches, deep steam cleaning, deodorising of the cleaned carpet and moisture extraction. You can rest assured that all grime and bacteria will be removed from your carpet only with the use of non-toxic cleaning materials. 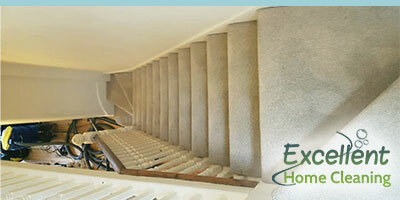 If you also want to have your carpets professionally cleaned, don’t hesitate to get in touch with our support centre. We have plenty of responsive call centre representatives and one of them will be happy to listen to your request and give you a quote based on your requirements.